With the WaterCop Pro Large Valve configuration, you get the perfect solution for larger water supply lines commonly found in bigger residential homes. Designed with the same advanced leak detection and automatic water shut-off technology found in all our Pro systems, this actuator works with supply lines 1 ½” in diameter and larger. It also offers the peace-of-mind advantage of 24/7 protection, even when you’re away from home. 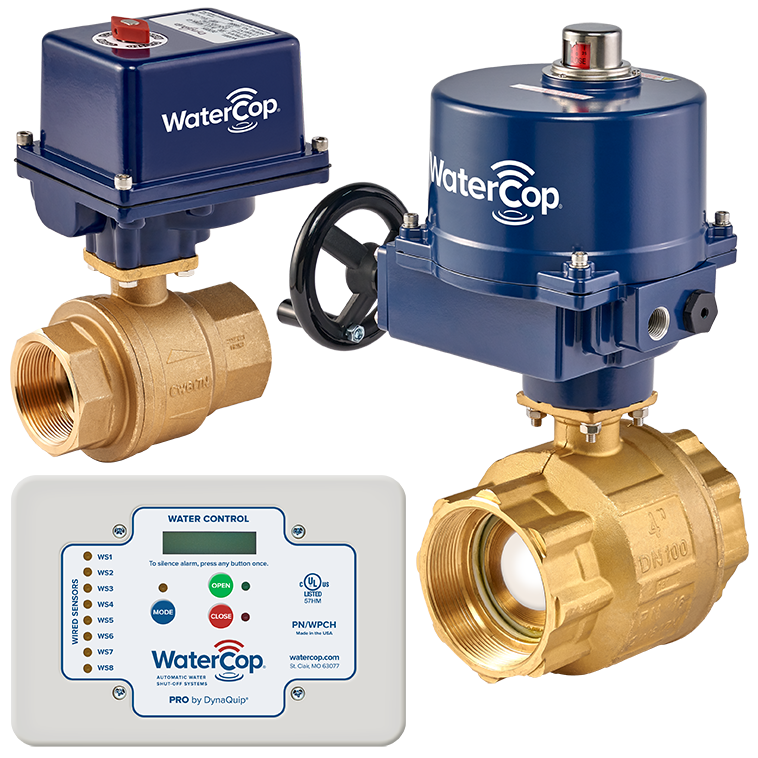 The WaterCop Pro System adds valuable features like an improved user interface and ﬂexible installation options. 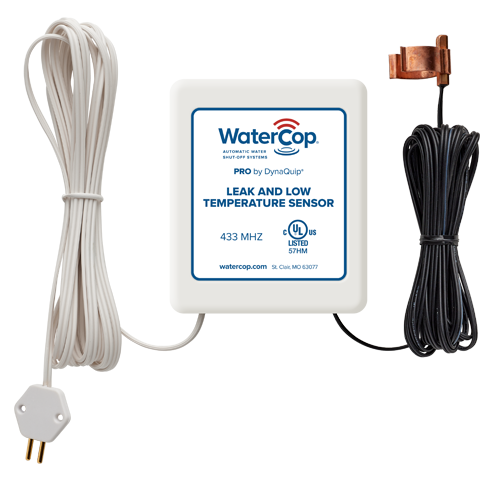 WaterCop Pro is customizable to work with any plumbing set-up and is ideal for custom-built or expensive homes, multi-family, condominium or commercial use where combinations of hardwired and wireless sensors communicate with an indoor shut-off valve. 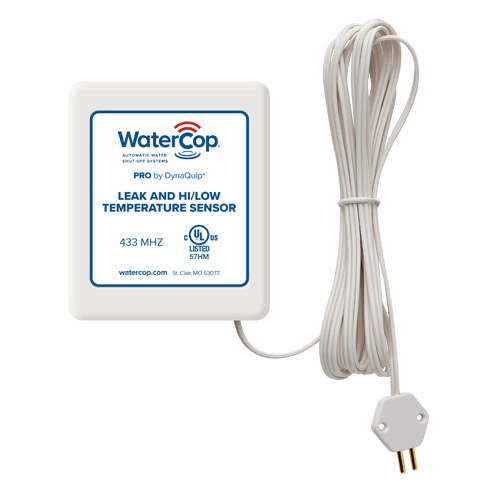 WaterCop Pro provides the most complete plumbing leak protection while offering the most ﬂexible installation options and third party monitoring/security integration. The WaterCop Pro System is customizable to fit any plumbing configuration. 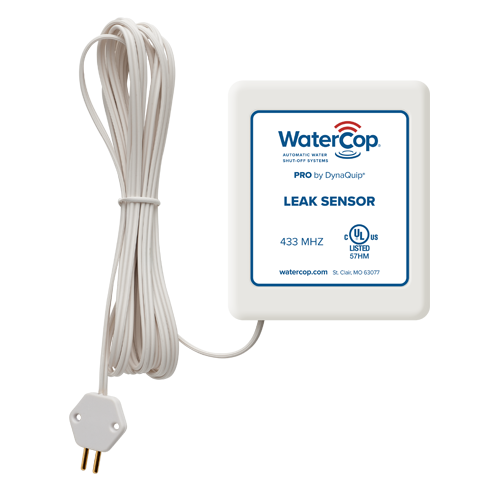 When water contacts a sensor, a wireless signal is sent to the WaterCop Classic shut-off valve installed on the main water supply to close and stop the flow of water to the leak point. 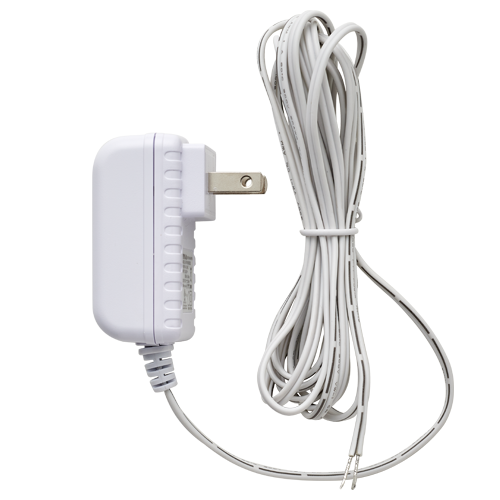 Newly designed signal repeater retransmitts Classic sensor signal to WaterCop Classic shut-off valve. Helps reduce the chance of frozen water pipes, plumbing leaks, and excessive moisture damage that may occur with sudden and extreme temperature changes. 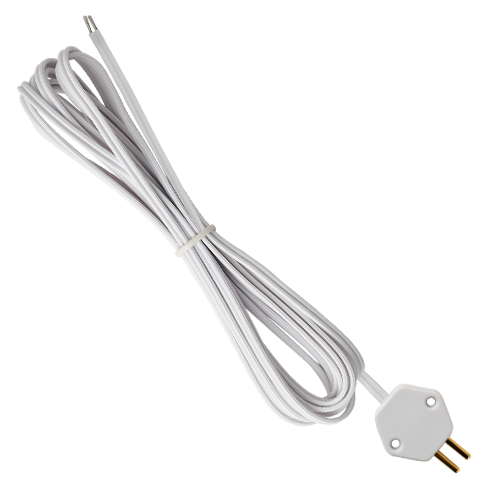 Leak sensor cord with probe used for WaterCop Pro hard-wired and wireless sensors.